Finally, this is the forth and last of a series of four interviews I did on my visist to the SPIEL 2011 in Essen. All of these shows have been done in English (since the Germans somehow managed to evade my microphones). I hope, you can cope with my teutonic English for the sake of the interviewees. This concluding interview is with Vlaada Chvatil from Czech Games Edition who had a small but crowded booth at the SPIEL 2011. 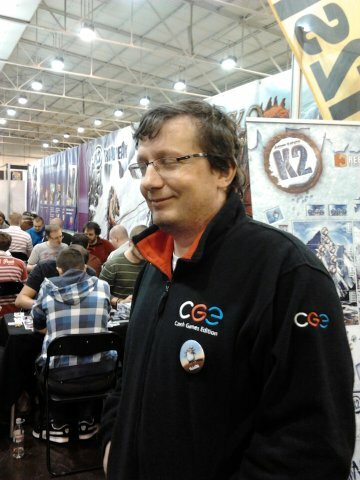 Vlaada is a well-known Czech board game designer, famous for Galaxy Trucker, Space Alert, Dungeon Lords, his newest games Pictomania and Dungeon Petz and quite a couple more games which have been published internationally. 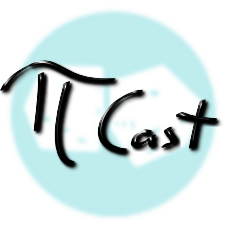 We talk about his game design philosophy and cycle, how his designs come about, his build-and-wreak-havoc-upon-style games and a couple more smaller topics. If you have not yet played any of his games, try some. He's got something for almost everyone! So, I hope you liked the small series! If you have any suggestions or other feedback, please let me know. After all, that is the best way to improve for future interviews. So, let me know!